Little River Falls is located at the north end of Little River Canyon National Preserve and is one of Alabama’s most scenic waterfalls. Known as one of America’s deepest and most extensive canyon systems east of the Mississippi River, Little River Canyon National Preserve is 14,000 acres of nothing but beauty. DeSoto Falls is one of the most photographed points of interest in Alabama, DeSoto Falls is also one of the tallest (107 ft.) and most visited waterfall locations in the state. It also features numerous smaller falls. The waterfall has a concrete dam above the falls, which was built in 1925 for Alabama’s first hydroelectric power plant, which is of historical significance. 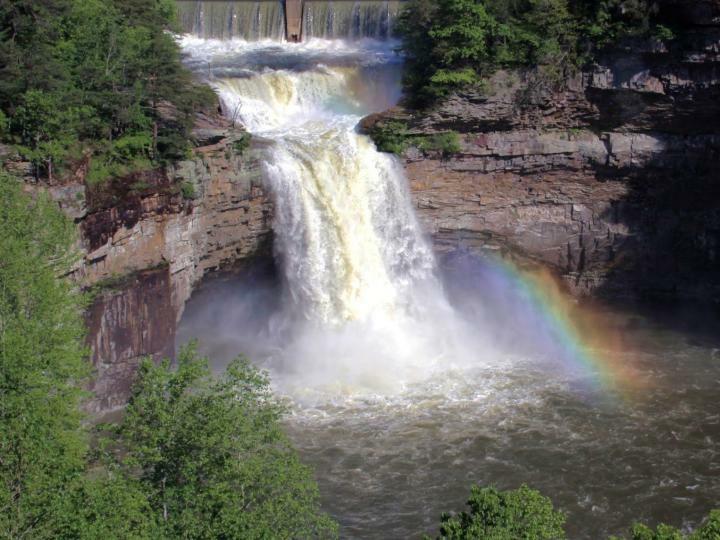 Located within the 14,000 acres Little River Canyon National Preserve is Grace’s High Falls. Though only seasonal, this waterfall is one of Alabama’s highest waterfalls. At over 700 feet high, the waterfall features a view you can’t find anywhere else. When rainfall is high, a significant amount of smaller creeks and waterfalls can be seen while exploring the area. 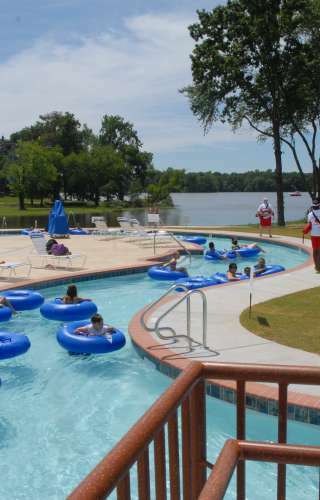 DeSoto State Park offers a lodge, cabins, motel, full service restaurant, campground, primitive camping, nature center, hiking and biking trails, Olympic-size pool, canoeing, boating, and fishing areas. Located atop Lookout Mountain near Little River Canyon National Preserve and near DeSoto Falls day use area. Little River Canyon Center is a partnership between Jacksonville State University and Little River Canyon National Preserve. The Center provides visitors with information, educational and recreational opportunities, and an impressive HD film about Little River Canyon. Fort Payne Depot Museum features exhibits typical of the lifestyles of the late 1800s and the early 1900s. The museum features Native American pottery, basketry, tools, and clothing. Old Fort Payne Depot was built by the Alabama Great Southern Railroad in 1891. ALABAMA Fan Club Museum is home of the Country Music Group of the Century, this museum houses the group Alabama’s many awards and achievements, collections from their youth and a souvenir and gift shop. Orbix Hot Glass, owned by artist Cal Breed, creates creates unique handmade functional art glass and sculpture. Orbix studio and gallery is located on Lookout Mountain in Alabama. Tigers for Tomorrow. Looking for a unique experience? Take a trip to Untamed Mountain. Tigers for Tomorrow is a wild animal park and environmental education center that’s home to over 130 animals. See 70 big cats, wolves, and bears. Children can interact with barnyard animals at their contact yard.